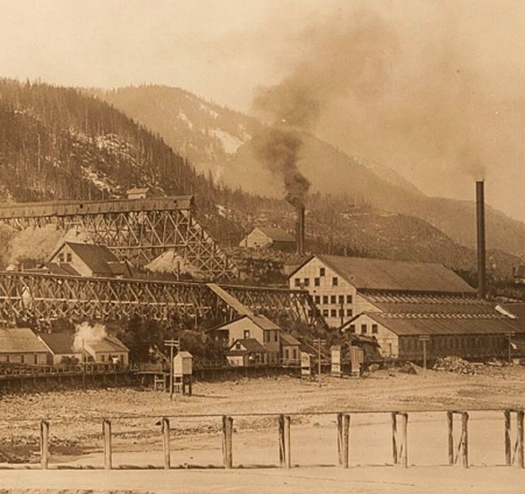 The Eldorado Property is a 30 minute drive southeast of Dawson City within the Dawson mining district. 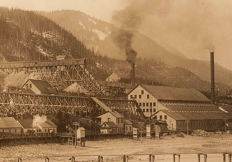 The property consists of 1113 contiguous quartz claims and 14 Crown Grants centered on the historic Lone Star Mine in the Klondike Goldfields. 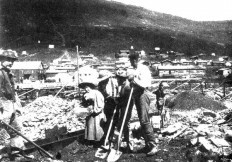 The quartz claims cover an area of 196.61 square kilometers and the Crown Grants cover 2.143 square kilometers. 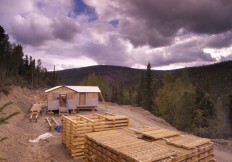 The Eldorado Property is underlain by lithologies assigned to the Permian Klondike Schist Assemblage, part of the Yukon-Tanana Terrain. This unit has a complex deformation history with at least four phases of deformation (D1-D4). The so-called D4 quartz veins are gold-bearing. 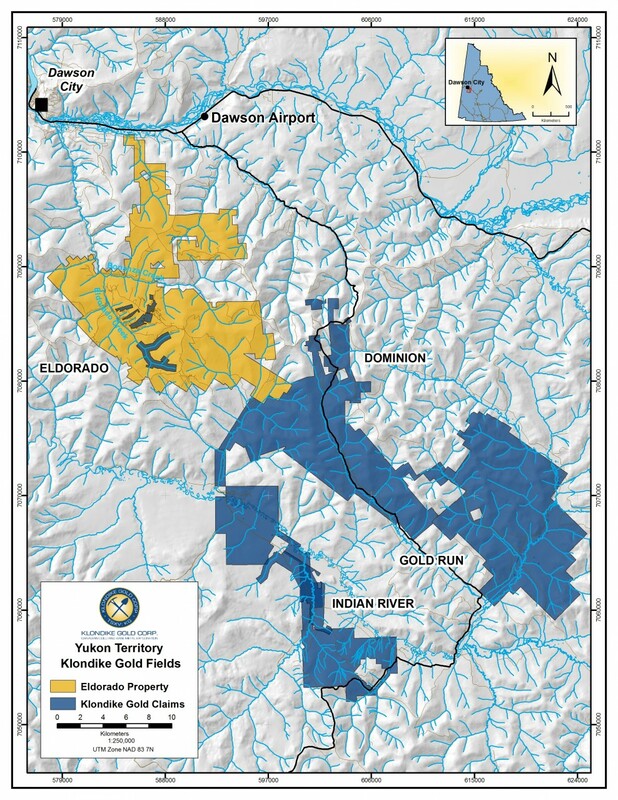 2015 exploration drilling tested several zones (Nugget, Lower Nugget, Gay Gulch, Buckland area) with outcrop or sub-crop quartz veining containing visible gold. Core logging results show that individual quartz veins with visible gold can be 0.1 to 1.0 meters in thickness and that “zones” are comprised of several to many related quartz veins (“vein arrays”) occurring over widths of up to ~10 meters true thickness and which exhibit along-strike and down-dip continuity. 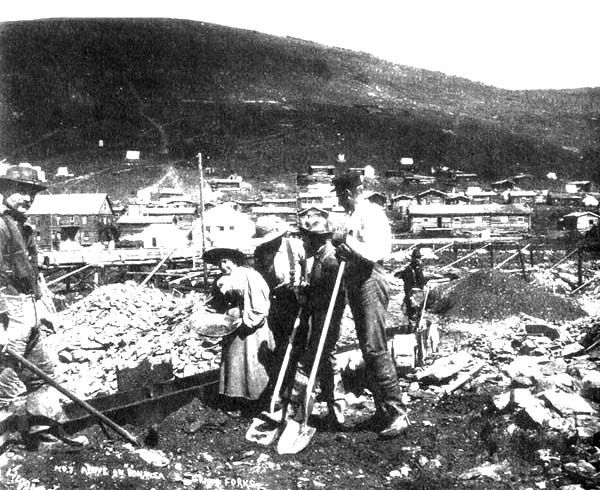 The volume of quartz veining relative to wallrock, expressed as “% quartz veining” or “% QV” is an important exploration indicator. 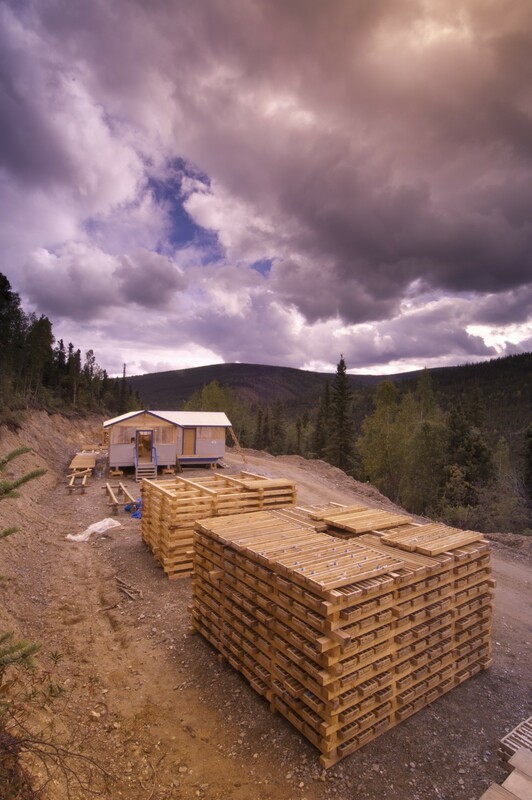 Property-scale exploration focussed on locating near-surface volumes of gold mineralized quartz veining, and this objective will continue for 2016.